My role as the corporate chaplain at First Rate, Inc. gave me the privilege of visiting the Cooper Institute in Dallas for company management meetings. I knew that Dr. Kenneth Cooper was the founder of the Institute and the author of the 1968 book Aerobics. I worked out in the gym and I used the concrete path for walking and jogging at the Institute during those meetings. I was surprised to find that Dr. Cooper came up in my research of 1966 photos in Dad’s collection that included Lt. General. Richard L. Bohanon, M.D., a former U.S. Air Force Surgeon General (1963-67). He visited K. I. Sawyer Air Force Base, south of Marquette, Michigan for a special event. Dad served as the Hospital Commander when Gen. Bohanon visited. Colonel Pete C. Sianis is also in the photo and served as the 410th Bombardment Wing Commander at Sawyer at the time. When I read this, I was flabbergasted that Dad had the privilege of meeting Dr. Bohanon and being photographed with him in 1966. I also learned that Dr. Bohanon laid the foundation for pilot-physicians to be added to the Air Force Manned Orbiting Laboratory (MOL) program in the 1960s. NASA management scientist John Charles wrote that the original NASA astronaut candidates were all test pilots. By October 1963 some astronauts hadn’t been test pilots, so the test pilot requirement was dropped. A year later NASA opened up the application process to non-pilots. In 1964 General Bohanon advocated for pilot-physicians to be included in the Air Force MOL program, but he didn’t have authority to appointment them to the program. The initiative did result in pilot-physicians being appointed, but their training was not used because the MOL program was cancelled in June 1969. 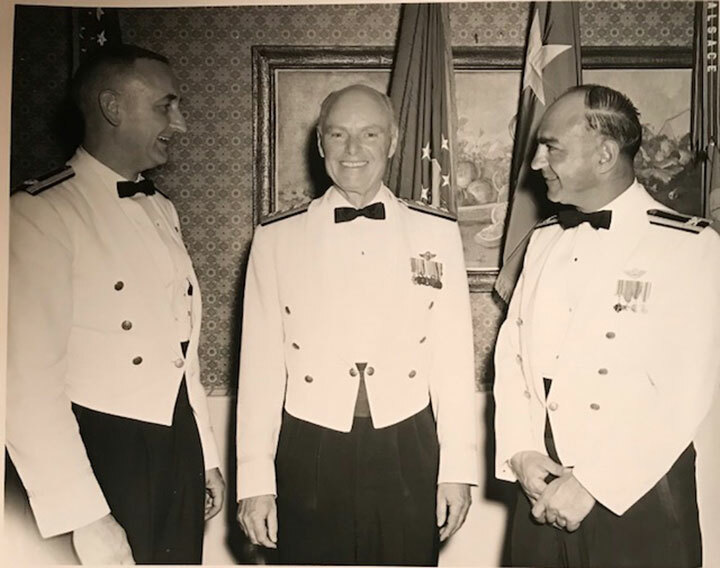 General Bohanon supported Dr. Kenneth Cooper’s research, he advocated for pilot-physicians in aerospace training and he founded the National Jogging Association in 1968 which became the American Running Association. I’ve been a runner, but I didn’t know that General Bohanon had such an impact on the running world as he did. I became a 2-mile runner as a high school senior for the Gwinn High track team in 1970. My diary contains entries to my running in the early cold northern Michigan mornings on K.I. Sawyer AFB. I ran cross country at Judson College (now University) in Elgin, Illinois during the Fall 1970. I started running competitively again in York, Maine around 2000 and have done it here in Texas. I placed third in my age category one year in the Fort Worth Cowtown. All this time I didn’t realize that General Bohanon’s influence played an indirect part in my running career. Lt. General Richard L. Bohanon’s commitment to encouraging jogging for healthy living has become another reason for me to keep working at my commitment to healthy living. How about you? http://www.af.mil/About-Us/Biographies/Display/Article/107680/lieutenant-general-richard-l-bohannon/. Accessed October 20, 2017 at 4:30pm. http://www.americanrunning.org/w/article/tribute-to-fitness-pioneer. Accessed October 20, 2017 at 5:00pm. http://www.americanrunning.org/w/article/about-us. Accessed October 20, 2017 at 5:19pm. Is Retirement in Your Vocabulary? What Is Your Creative Capacity?